The Extra Mile Award is given to those who go above and beyond the expectations of commitment when obtaining justice for their clients. 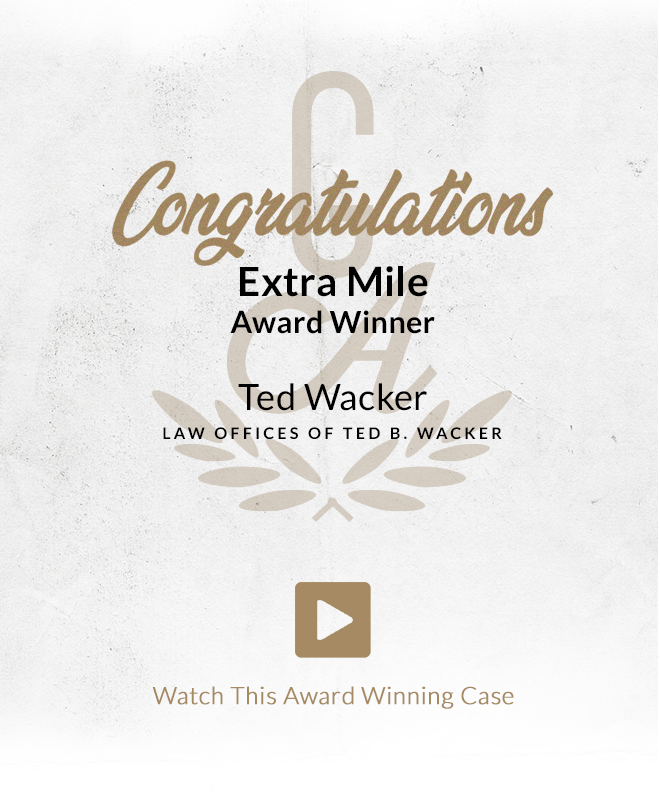 This year we proudly award attorney Ted Wacker from the Law Offices of Ted B. Wacker for his endless determination in supporting those who have suffered severe and life-altering injuries. Having tried numerous cases, attorney Wacker fiercely fights to provide his clients with the results they deserve. When a young girl fell from a climbing tower at a church camp and broke her back, attorney Wacker stepped in to prove the church and instructor’s disregard to safety protocol which resulted in the Plaintiff’s fall from 50-feet above. 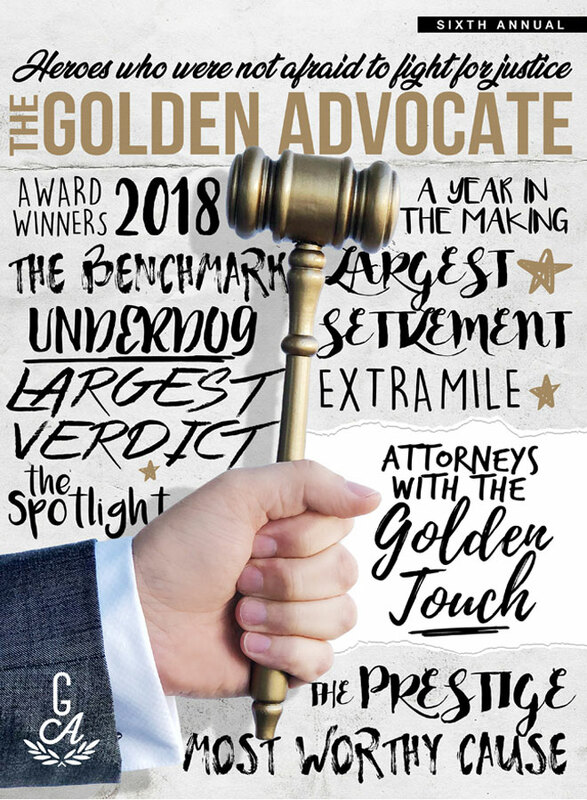 It was a true pleasure to witness such dedication and perseverance from a well-respected figure, as attorney Wacker continuously goes the extra mile on behalf of his clients.